Woven 100% from high-quality cotton, Beachy Peshtemal weighs 300 grams. It has a size of 100x180 centimeters. It is highly absorbent, quick-drying, soft, and durable. Beachy Peshtemal is also an easy-to-wash Turkish beach towel. Beachy Peshtemal is one of our simplistic Turkish beach towel designs. It has a combination of colorful and white, thin stripes on its design and fringes swinging at the ends. 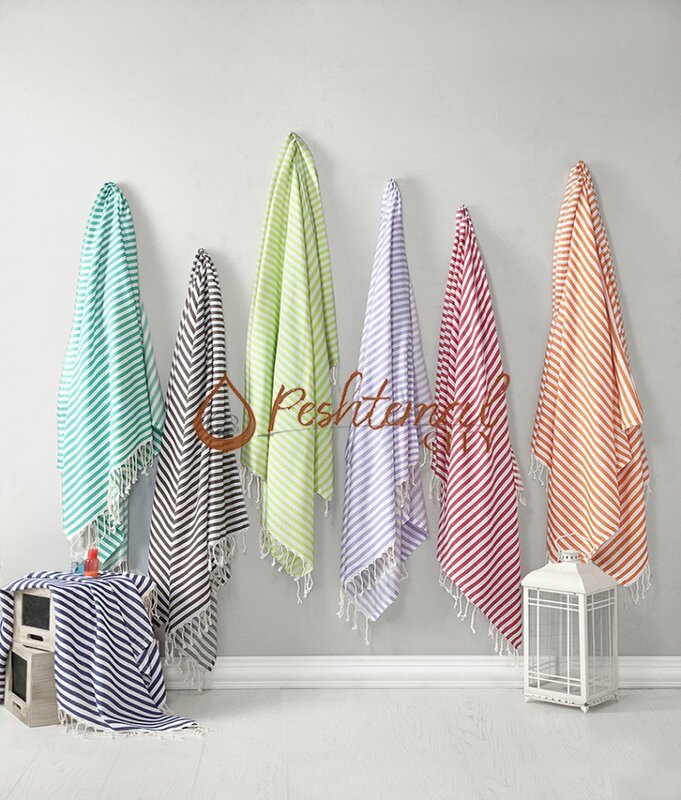 We offer a variety of color options for Beachy Peshtemal for you to choose the perfect Turkish beach towel to take with you during your vacations or to decorate your home with. With its simplistic design, Beachy Peshtemal is also a minimalistic, and sweet gift for your loved ones.